Release Date:06/16/2017;Notes:*Received a 7.6 rating from Pitchfork. Heather Trost is best known for her work composing and performing as one half of A Hawk And A Hacksaw. She has also played with Neutral Milk Hotel, Beirut, Josephine Foster, and most recently Thor Harris of Swans. She has arranged and performed with the BBC Concert Orchestra, as well as conductor Andre de Ridder and his Stargaze Orchestra, and toured throughout the world. In 2014 she released her first solo project, a 7-inch on Ba Da Bing Records, followed in 2015 by Ourobouros, a limited edition cassette of expansive electronic ambient compositions influenced by Basil Kirchin, Terry Riley and Angelo Badalamenti on Cimiotti Recordings. 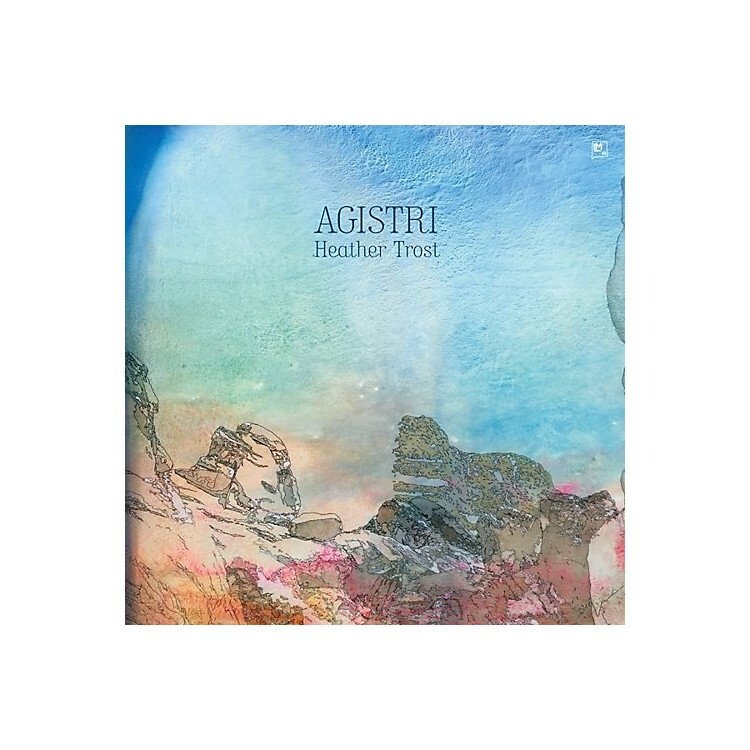 These two projects propelled a full length album: named after a Greek Island, Agistri is a song cycle of freely formed pop songs touching upon soul, samba, and pop music of the '60s and '70s, with a subtle shade of psychedelia. Ambient and melancholic sounds interweave with hammond organs and '70s Italian synthesizers, reflecting the desert landscapes of New Mexico, and the sparse shrubbery and turquoise water of the Aegean sea and it's islands. Bolstered by contributions from Neutral Milk Hotel's Jeremy Barnes on drums and bass, Deerhoof's John Dieterich on guitar, and Drake Hardin and Rosie Hutchinson of cult New Mexico band Mammal Eggs, Trost's talents as a songwriter and arranger explode on this wonderful, often surreal album.